Android face recognition - Is google face-unlock is safe? Android face recognition is the latest trend in unlocking the smartphone. Yes, Its almost time to tell “Gone are the days when we used our fingers to unlock our phone”. google smart lock i.e face unlock and Apple’s Face ID are leading the way in android face recognition domain. The main question arises is “Are these new fancy unlocking ways are safe to use?”. And how much safer than traditional unlocking mechanisms. New face unlocking systems just use our face to unlock the android phone. google face unlock app is an app that we must trust before using. Yes, it’s true. All we have to do is enable trust option in settings in order to use it. Who are we trusting now?. Obviously, it is google. Because without trust none of the things will work. Let me talk about how much our phones are secure when face-unlock is active. There are many google play store face-unlock apps available to the public. Sorry, its unlock. All the face-unlock apps rely on smartphones front camera and a bunch of image processing software. Kaspersky Labs says that an inexpensive smartphone face-recognition just relies on a front camera and some not so advanced image processing algorithms. It can be easily fooled by photos from social media and shown to the camera to unlock. Smartphone companies have told that face-unlocking method is not secure as fingerprint or password protected. Even Samsung and many other smartphone companies put a disclaimer that face-unlock are not secured as other methods. If you are twin then you should worry more to use face-unlock. Now its worth to mention Apple’s Face ID and Google face-unlock here. Apple has the most secured face-unlock system than any other companies. Apple’s Face ID is backed by a powerful true depth camera system. This will analyze 30000 invisible dots on the face. It will develop a 3D model of the face and it is stored in an encrypted format in the smartphone’s chip. when you try to unlock it, It captures the dot patterns from the face and sends to the system to analyze and compare. 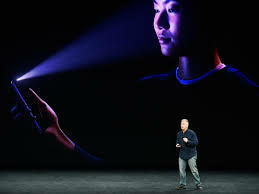 It is believed that Face ID is the most secured face unlocking system. Apple even allows face-unlocking in payments too. Tech giant Google has a Google smart lock i.e face-unlock which uses sophisticated face recognition algorithms combined with artificial intelligence and machine learning. Google smart lock uses artificial intelligence. So it is considered to be intelligent in face-unlock. Well, Artificial Intelligence will make face-unlock more secure. This is how Google makes use of AI to power its Face-unlock. Android face recognition… How much secure it is? tech giants like Google, Apple, and other companies are working on face-unlock super seriously. making Android face recognition state of the art. As of now, Face-unlock is not very secure. I repeat, Not very secure. But it is secure. My words in this topic are use face-unlock if you have a best front camera and preferably use google face-unlock or Apple face ID only as of now. Please don’t use third party face unlock from google play store. Those Android face recognition apps are not secure. Use face-unlock with other methods like fingerprint or password or PIN unlock. You can get the list of best apps for your smartphone HERE.